For the foreseeable future, Fridays here will be the Friday Reads series (to go with the hashtag). What better way to start the weekend than the suggestion of a good book? I’m sure there are hundreds, if not thousands of reviews on the different books I’ll discuss, so I’m not going to review them. Instead I’m going to share what they mean to me. 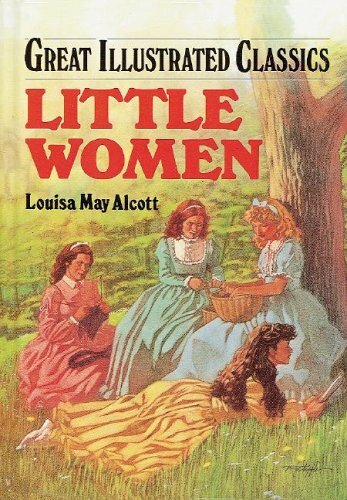 I’m starting the series with the book that I think sealed my fate as a lifelong reader: Little Women by Louisa May Alcott. My mom bought me several versions of Little Women as I grew up. I remember owning five different versions, three of which were quite literally read to death. And I’m looking for a sixth, fancy, version to start my “favorite books” bookshelf. 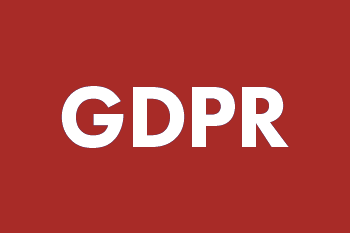 Leave a comment if you’d like to hear more about that. Anyway, I remember the first version I received when I was maybe 6. It was part of the Great Illustrated Classics series. Hardcover, illustrated, and abridged with large type. I thought the illustrations were so pretty. They were black line, like a coloring book, and I so wanted to color them all in, but I couldn’t bring myself to “deface” a book like that, even then. Some time later, when my first version was looking a bit worse for wear from reading it so much, I received an unabridged paperback version. I can remember the bright yellow back cover, even now, although the front cover details are lost to me. It was illustrated as well, in a more elegant style. I specifically remember there being a fabulous stylized illustration of Meg in her borrowed ball gown with Laurie staring on disapprovingly. It was captioned with: “Don’t you like me so?” asked Meg. “No, I don’t,” came the blunt reply. This second version was roughly the same physical size as my first version, although perhaps a bit thicker. It might have even been a little smaller along the height and width. I didn’t understand why. Shouldn’t it be much bigger if it was unabridged? Then I opened it. The text was tiny! It didn’t matter, though. I think I finished reading it in a couple days. And I didn’t stop. Over the next few years, I read it so many times it fell apart. It was while I owned this second version that my mom took me to see the play version. It’s the first play I remember seeing. Generally when we went to the theater it was for some type of dance (ballet, river dance, etc) or some other type of performance altogether, like STOMP! It was simple, the only set changes were during intermission, and our seats weren’t the best in the world, but I remember being rather young, and, seeing as I don’t have many other memories of that time period, it clearly meant a lot. I bought myself my third version of the book. An inexpensive paperback, as I fully expected to read it to death as well. But before I could, eBooks became a thing. So I bought myself an eBook version. And I’ve read it a few times as well. Thankfully, the digital version won’t fall apart. In the final days of my mom’s battle against cancer, she was somewhat coherent, but couldn’t really hold a conversation. I assume it must have been horrible for her to be stuck with no form of entertainment. Out of a loss of what to do, I decided to read to her, as she had done for me so often as a child. I chose Little Women. It wasn’t her favorite book. I honestly don’t know what her favorite book was. But it was comforting, and I hoped it would remind her of good times we’d shared. Of all the times we’d watched the different movie versions together. It may not have been the best decision, though, as I find the book rather difficult to read now. I haven’t read it since she died in 2013. It’s probably the longest I’ve ever gone without reading it. But hopefully soon I’ll find the strength to read it again and remember all the wonderful memories associated with it. Regardless, it’s a very important book to me. So much so that I even reference it in my own upcoming book The Most Special Chosen. I also recently discovered a Little Women graphic novel project that has some amazing artwork. I hope the artist continues it, as currently, only the first 7 chapters have been done. Go take a look and see what you think of it. Have you ever read Little Women? Have you watched any of the movie versions? Which one is your favorite? Leave a comment below with your thoughts.